Lifestyle, India’s favourite fashion destination, has announced a month long 20-20 bash to celebrate 20-year anniversary of its operations in the country. 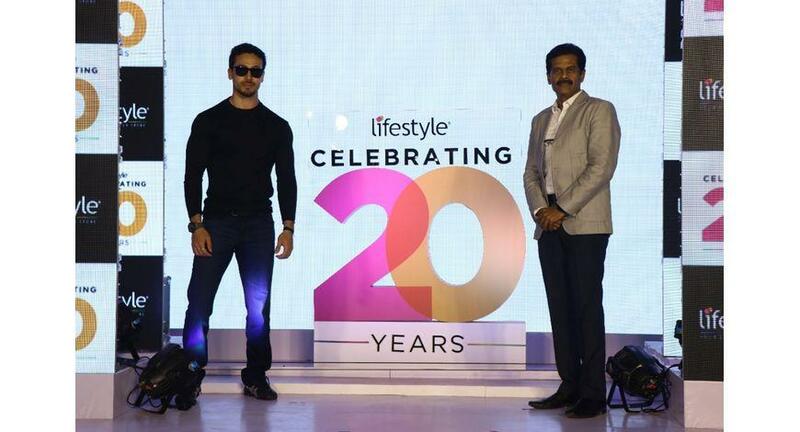 Unveiling its 20-year celebration logo in a glamorous ceremony with Youth Icon Tiger Shroff in Mumbai, the brand announced a slew of attractive offers across categories that the customers will get to enjoy every weekend of April. Every weekend of April, Lifestyle is offering its customers exciting offers across popular categories such as Menswear, Womenwear, Kidswear, Make-up, Footwear, Handbags and more. Each of these offers will be applicable on popular brands across the store and will allow customers to shop from the latest collection at a great value. “This is a remarkable milestone for us” Vasanth Kumar, Managing Director – Lifestyle International Pvt. Ltd. said “Completing two decades of successful operations in the country, we feel humbled by the support we’ve received from our customers who have been a critical part of this incredible journey. We, therefore, are dedicating the whole month of April to our customers and inviting them to enjoy great offers every weekend on our new collection”. “Lifestyle is a brand that has been a part of the fashion retail story for over two decades in the country. I love their fashion offering, especially denimwear brand Forca. I am happy to be here for this significant moment and wish them many more years of similar success.” added youth icon and Bollywood actor Tiger Shroff. During the 20 years of its existence Lifestyle has significantly contributed in continuously improving the shopping experience of the customers in the country. Bringing together the latest trends from across the globe, leading national & international brands, curated fashion lines, friendly customer service and tech-enabled convenience, Lifestyle has served millions of customers across the country with delightful shopping experiences. In its endeavor to allow its customers the convenience to shop from anywhere anytime, the brand introduced omni-channel commerce in the year 2019 and currently has a country wide presence across 77 stores in 44 cities and delivers to over 26000 pin codes through its online store, www.lifestylestores.com .